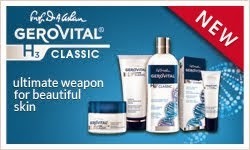 Home » anti-wrinkle » epiderm » photo ageing » pigmentattion » skin aging » sunscreen » SUMMER FUN: ENJOY RESPONSIBLY! Sunscreens are products combining several ingredients that help prevent the sun's ultraviolet (UV) radiation from reaching the skin. Two types of ultraviolet radiation, UVA and UVB, damage the skin, age it prematurely, and increase your risk of skin cancer. Most sunscreens with an SPF of 15 or higher do an excellent job of protecting against UVB. 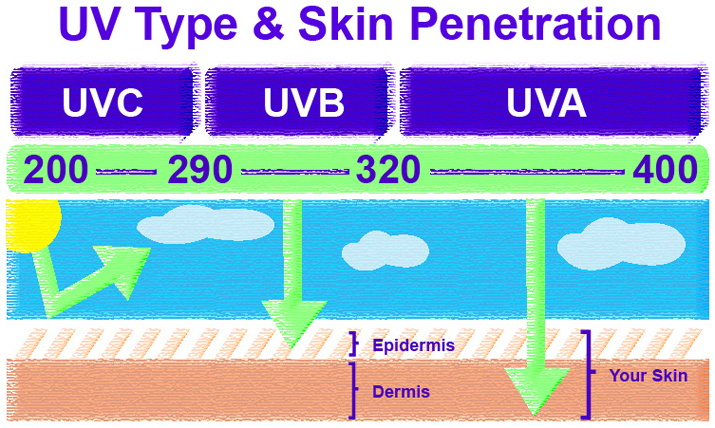 SPF — or Sun Protection Factor — is a measure of a sunscreen's ability to prevent UVB from damaging the skin. Here's how it works: If it takes 20 minutes for your unprotected skin to start turning red, using an SPF 15 sunscreen theoretically prevents reddening 15 times longer — about five hours. The experts recommend an SPF of 15 or higher. SPF 15 filters out approximately 93 percent of all incoming UVB rays. SPF 30 keeps out 97 percent and SPF 50 keeps out 98 percent. They may seem like negligible differences, but if you are light-sensitive, or have a history of skin cancer, those extra percentages will make a difference. And as you can see, no sunscreen can block all UV rays. Is the SPF the key? But numbers can be deceiving: products with very high SPFs may also encourage individuals to neglect other photoprotective behaviors, like seeking the shade and wearing sun-protective clothing. By preventing sunburn, sunscreens with very high SPFs can create a false sense of security, prompting consumers to stay out in the sun longer. Sun damage (for example, UVA damage) can take place without skin-reddening doses of UV radiation, and even the best sunscreens should be considered just one vital part of a comprehensive sun protection regimen. Protection spectrum and the applying play an equal important role. The FDA banned the terms waterproof and sweat proof. Mix water and sunscreen and the sunscreen loose power. The updated labels will tell you exactly how long the sunscreen is water resistant, so how often to reapply. None of that counts if you use it wrong. Should you wear sunscreen on a cloudy day? Yes, 80% of ultraviolet rays still get through the clouds. Those UV rays, the ones who create spots and wrinkles go right through glass. Should you even wear sunscreen in the car? Absolutely! What is the perfect amount to use? It takes approx one once of sunscreen to cover an average adult from head to toe, then you have to reapply every 2 hours even you stay dry. The paler your skin, the more you risk a sunburn, but ultraviolet rays can cause irreversible damage to all skin tones. In terms of ingredients, asually, at least three active ones are called for. These generally include PABA derivatives, salicylates, and/or cinnamates (octylmethoxycinnamate and cinoxate) for UVB absorption; benzophenones (such as oxybenzone and sulisobenzone) for shorter-wavelength UVA protection; and avobenzone, ecamsule (MexorylTM), titanium dioxide, or zinc oxide for the remaining UVA spectrum. • Raspberry Seed Oil. The highest of all natural ingredients, contains an estimated SPF of 30-50. • Shea Butter. An excellent skin protectant with an SPF of approximately 6-10. • Carrot Seed Oil. Carrot seed oil is an essential oil and has been estimated to contain SPF levels of 30. • Wheat Germ Oil. While super nourishing for the skin, it too possesses a natural SPF of 20. • Sesame oil, Coconut Oil, Hemp oil, Avocado oil, Soybean, and Peanut Oil. 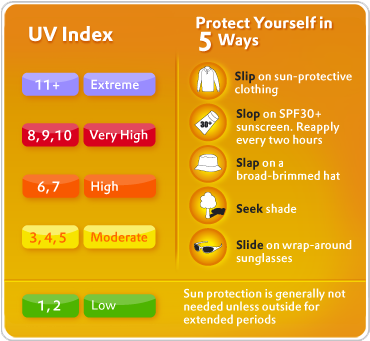 All contain SPF levels between 4-10. However, none of these ingredients are necessarily adequate on their own to provide us protection for an all day experience. In order to make your own sunscreen you really should add the natural mineral zinc oxide (and possibly titanium oxide) to your recipe. This will give you real power to reflect the sun’s ray, with minimal negative effects. Wearing sunscreen can cause vitamin D deficiency. There is some controversy regarding this issue, but few dermatologists believe (and no studies have shown) that sunscreens cause vitamin D deficiency. Also, vitamin D is available in dietary supplements and foods such as salmon and eggs, as well as enriched milk and orange juice. If it's cold or cloudy outside, you don't need sunscreen. This is not true. Up to 40 percent of the sun's ultraviolet radiation reaches the earth on a completely cloudy day. This misperception often leads to the most serious sunburns, because people spend all day outdoors with no protection from the sun. Eighty percent of your sun exposure comes as a child, so it's too late to do anything now. It appears that this universally promoted idea was based largely on a misinterpretation. A recent multi-center study showed that we get less than 25 percent of our total sun exposure by age 18. In fact, it is men over the age of 40 who spend the most time outdoors, and get the highest annual doses of UV rays. And since adult Americans are living longer and spending more leisure time outdoors, preventing ongoing skin damage will continue to be an important part of a healthy lifestyle.